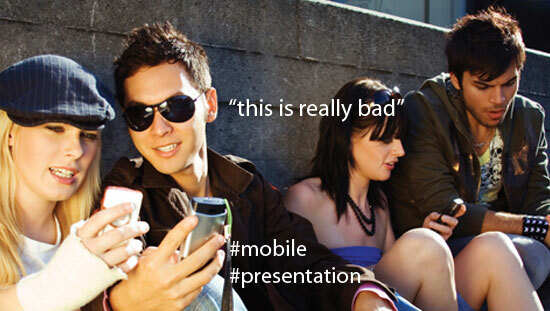 Hotels that want to stay in business should take a serious look at their mobile presentation. If your hotel website is not up to 2015 standards, you’re out of the game. Modern people use their mobile for search before booking and do not have time to zoom in on pieces of text on your website. They will also click away if you still have a Flash intro, or even worse, a language selector at the landing page. And if your page takes longer than 15 seconds to load, your future guest will search for another hotel website that works properly on his mobile. Or they use a mobile App that delivers fast information about what hotel to book. OTA’s have all the money to build the best App’s and so they dominate the mobile market. In the mindset of Millennials, OTA’s are the only one they know of to book a hotel room. A new travel demographics report by Strategy Analytics showed, those under 35 years old strongly favor OTA apps over airline and hotel apps. Wow, this should worry you. Time for hoteliers to win some ground back! Is your strategy to become more dependent on your sales via OTA’s and to pay more commissions? If not, we advise creating a budget for a new responsive website and some maintenance time. A responsive website means that the design of your website changes, to the device people are using. When future guests visit your website on a mobile phone or a tablet; the images will shrink to fit the screen and text aligns in another way. All to make the viewer’s experience happy. No more endless zooming in and out. Is a new website that expensive? For less than 5.000 Euro, you have a simple but state of the art website, including a reservation system. When do you need an App? Once you have a good responsive mobile website, you don’t need a separate Mobile App. Because a good website works like an App on a mobile. A mobile App is useful if you have in-house services you would like to promote when guests have arrived. You offer them a free download of your App, so guests can easily make an ‘in-house’ reservation for the spa, the restaurant or book a Thalasso treatment. If you don’t have the budget for that, you can activate a little script on your site that only shows up when people visit you on a tablet or mobile. It will ask them to ‘add this site to your home screen’. 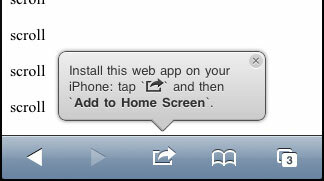 And voila, your website is installed with a little icon as if it was an App. We love this simple innovation; takes 3 minutes to install, and it works smoothly. For your future guests, it’s important you have an up to date website, and yes you need someone to look after it every month. When you attract visitors to your website, you have only one time to make a good impression. Go full screen where you can and make it easy to book directly with you. A website is not a desk that lasts for ten years. With today’s technology and the speed that things are changing, your website will be never finished. If you have the basics right, there will always be new social channels that you should embed in your website. Make sure you follow your audience. Otherwise, they lose you out of sight! Share the post "How mobile proof is your hotel?"